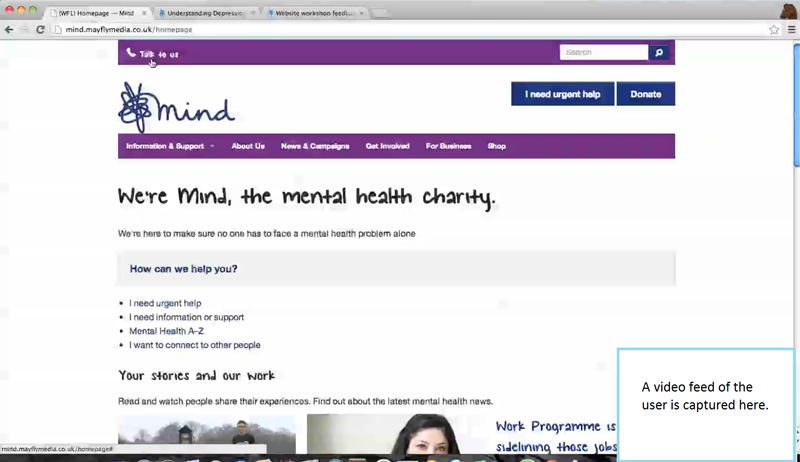 In 2013 we redesigned the Mind website, to make it easier for people to use. Lots of people told us that the old website was hard to use, and sometimes overwhelming. We wanted to make our website easier to use, so that people can seek our help sooner, get behind our campaigns, and support us more generously. We’ve tried to base our new site around people’s needs, so the design process was shaped by over 50 users at in-person workshops and user testing, and by over 100 people who participated online. We held workshops, surveys/tests, and user testing. 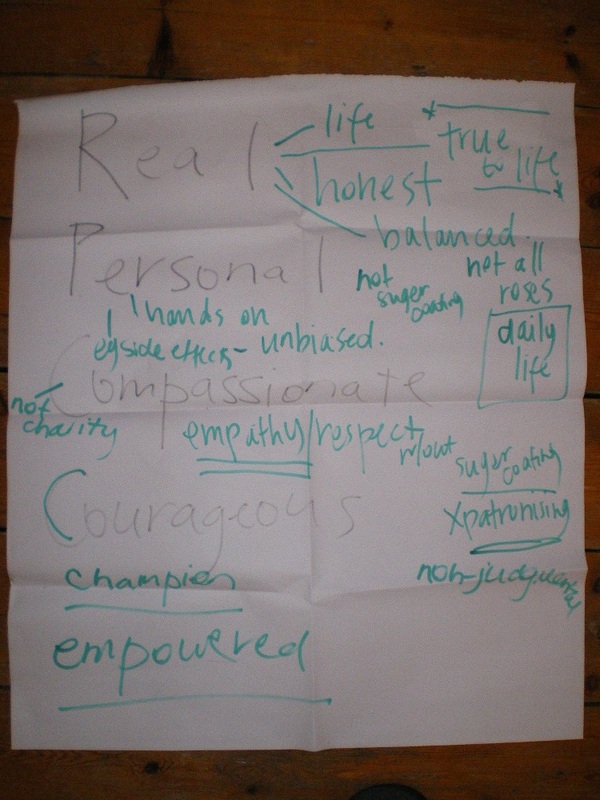 We held workshops so that we could understand what people need from the Mind website. We wanted to find out what their top tasks were, and asked people to devise a site structure and labelling system that made sense to them, using card sorting. The aim of this was to make a site structure that isn’t based on organisational language or the way that we structure our work or teams internally. We also invited people to discuss their feelings on the Mind brand, imagery, and use of colour online, and their feelings on how Mind’s values apply to the website. We held the workshops in Bristol, London, and online. People told us that they want a greater focus on their most important tasks. They wanted less clutter, a calmer and more sparing visual design, with a greater focus on people. They really resonated with Mind’s values: real, personal, compassionate, courageous. Using this information alongside other information about our web visitors – eg from Google Analytics – we were able to draw up a clear, shared understanding of what our project was trying to achieve, and what the most important tasks were. This was crucial, as design is about prioritisation, and that often means telling people that their area is less important. Being upfront about your top tasks – and getting these tasks from users – helps with these discussions. The in-person workshops took about 4 hours; the online workshop was condensed into an hour. Our understanding of top tasks also drew from our Analytics data, which tells us things like over 80% of our traffic is to our information pages. At the workshops, participants devised a site structure that made sense for them. We wanted to test if it made sense to other people too, so we tested it. We carried out an online reverse card sort exercise to do this, using a tool called Treejack. There were some areas of disagreement between the workshops (eg “get involved” vs “support us”, and “info & support” vs “help & advice”) and this exercise helped us decide between the competing options. The exercise took each user about 10 minutes. Before we started building the final website, we built a sort of draft version: a prototype. It was just made with HTML and CSS. We did 1:1 user testing and online user testing of this. By asking people to carry out a number of top tasks, and seeing what they found easy or hard, we were able to improve the prototype before building the final product. We did this as part of following an agile methodology. We encouraged participants to think aloud as they went so that we could better understand their thought processes. We took notes and for one of the sessions participants agreed to have their screen and faces recorded, using a tool called Silverback. – I’d start the recruitment process earlier, and plan a whole journey of engagement, rather than just inviting individuals to one-off events. – We had more people sign up than we expected or had capacity for. (This did help us select a more diverse group for our London workshops.) I’d have liked to plan even more opportunities for wider engagement. How did all this user involvement help us and help the people who took part? By better understanding our visitors and their needs, we built a better website for them. By testing as we went, we could make sure that our designs were on track. Participants gave very positive feedback, saying that they felt listened to, valued, and that their feelings and ideas were taken seriously. What support did you offer? – We used supportive language and set an expectation of non-judgmental listening and sharing. We made sure not to ask leading questions, so that our results were useful. – We tried to be clear in advance about what people were signing up for, and we told people that they could withdraw from activities at any time. – Be clear in your aims. For us, the value was clear: good agile digital project work relies on user engagement, so doing lots of user engagement was always a priority for achieving a good result. Mind takes user involvement seriously, and this made working in an agile, user-centred way very easy to achieve. – Budget the time and money to carry out engagement activities. If you want the benefits, you need to plan the investment. – Negotiate administrative support early, to help with booking venues, paying people for participation, etc. – I pre=scripted everything non-reactionary in the online chat. i.e. all the welcome messages and pre-planned questions were written in advance so I could copy-paste. That left me free to focus on responding to the contributions of participants.